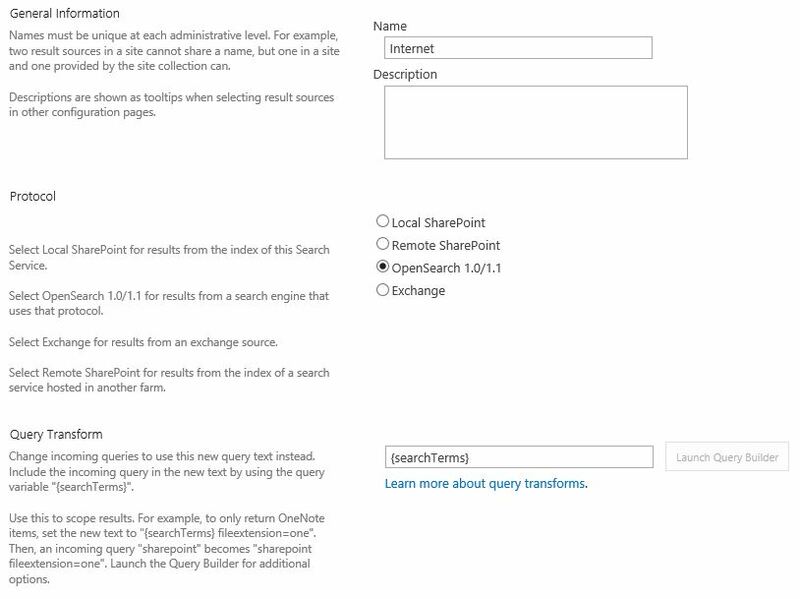 In this post I’ll describe the process of federating SharePoint 2013 search queries to Bing. 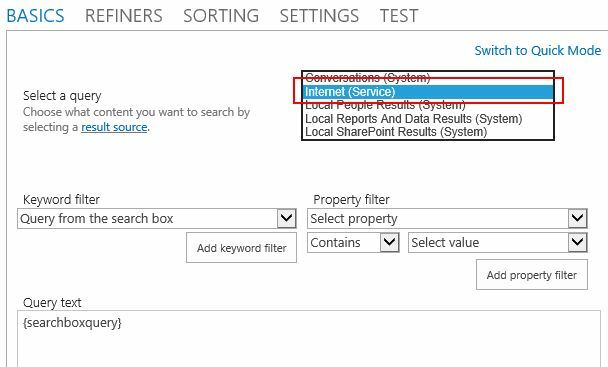 Open Central Administration and navigate to the Search Service Application. 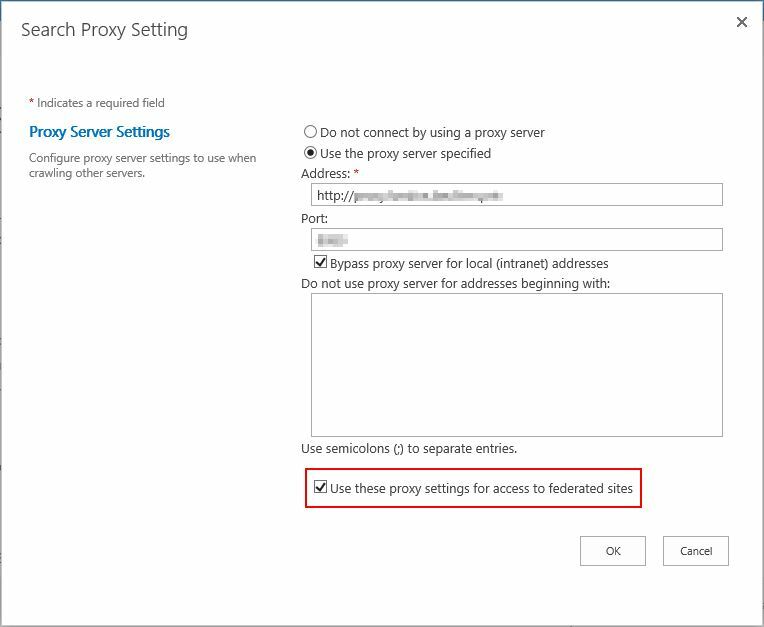 If necessary, configure a proxy server and tick the box to use the proxy settings for federated sources. 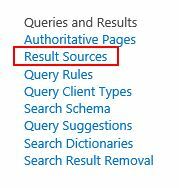 Next, click on Result Sources under Queries and Results. Enter a name for the result source and choose OpenSearch as the protocol. Leave the Credentials Information as Anonymous, click Save. Edit the search page you want to use the display the Bing results. 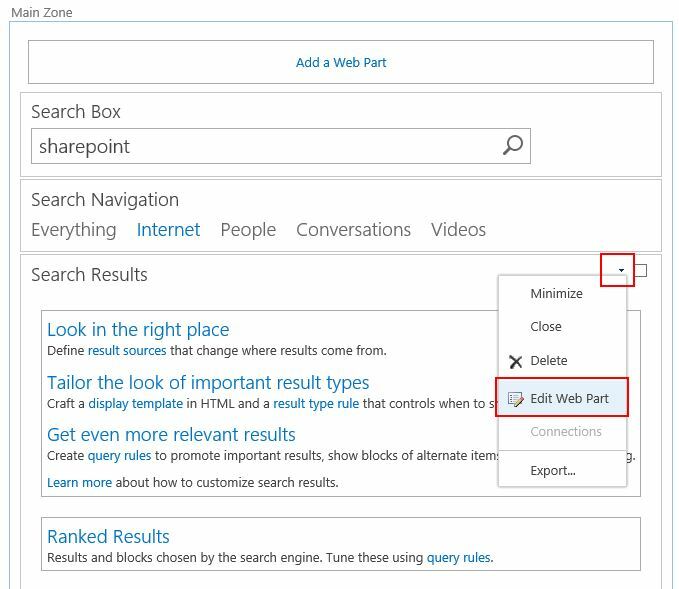 Choose Edit Web Part for the Search Results web part. 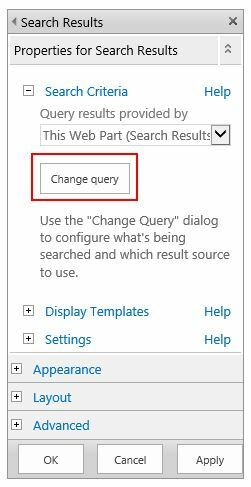 Change the query source to the Results Source you created earlier and click Ok.
Click OK to save the web part properties and save/check-in/publish your page. Run a search to see the Bing results. 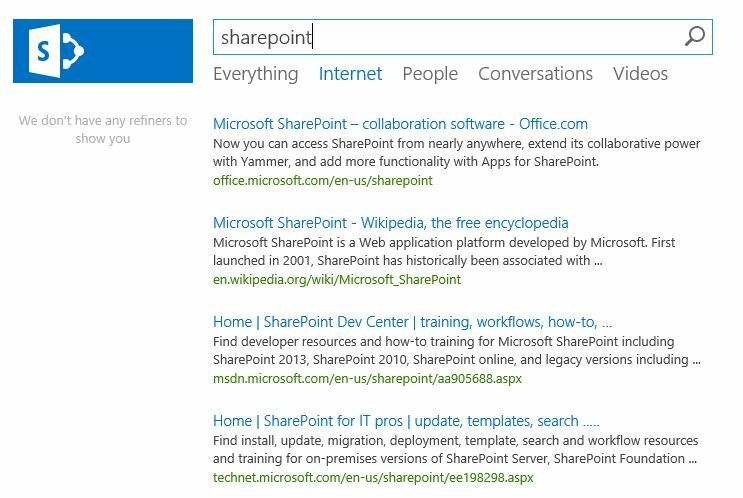 This entry was posted in SharePoint and tagged Bing, Microsoft, OpenSearch, Searching, Web search engine on November 8, 2013 by richardstk. The refiner web part does not seem to work with this approach. I saw another post with federated search were the refiner web part was working. Is there a way to make it work ? Good post. Got the service working for me. The only problem is, I am only getting 8 results returned no matter what I search. What could the issues possibly be?